To gain a better insight to director Jennifer Kroot’s most recent film, The Untold Tales of Armistead Maupin, it is instructive to consider another recent film she directed, To Be Takei, a charming profile of George Takei. Best known as Sulu on the original “Star Trek” series, Takei was imprisoned as a child in a Japanese-American internment camp and also stayed closeted-gay until the age 68. 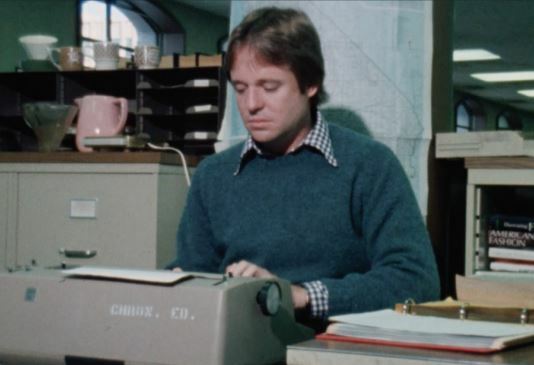 Like her current film—a charming profile of another gay icon, writer Armistead Maupin—both subjects were hemmed in by their culture and their past. For Maupin, the famed writer of “Tales of the City,” it was a conservative southern childhood. And, like her previous film, Kroot is a self-admitted fan of the man she is profiled. Although there is plenty of footage of gay-pride San Francisco, it is the more sober re-accounting of the “untold” story of his childhood and inner-workings that provide a central and unique tension for the film. For so many thousands of men, women, straight and gay, Maupin represents a polar star as someone who is unabashed about his sexuality and unapologetic about his quirks and kindness. Although “Tales of the City” abstractly told his own story, this film goes even further, and presents a straight-forward portrait of Maupin as a true artist. Fri 6 pm at Armory.